Gilbert Gottfried is an American stand-up comedian, actor and voice artist. He was the voice behind the parrot Lago in Aladdin and the role of Kraang Subprime in Teenage Mutant Ninja Turtles. He even had a documentary about his life and career released in 2017 titled as Gilbert. 1 1. Gilbert Gottfried net worth is estimated to be $6 million. 2 2. He began doing stand-up when he was 15. 3 3. Gottfried hosted USA Up All Night for 10 years. 4 4. He has his own podcast. 5 5. Some of his jokes on serious topic have had bad consequences. 1. Gilbert Gottfried net worth is estimated to be $6 million. As of 2018, Gilbert Gottfreid net worth is $6 million. It looks like Gottfried is at the top of his game right now with his entire year already filled with performances throughout the U.S. His performances are breathtaking and is always worth the money. Being such an amazing performer, he has developed “Gilbert Gottfried” itself as a brand name known for comedy. In his official website, Gilbert even sells the “Dirty Jokes DVD” series. The shop also included merchandise items like mugs to tees that highlight some of his symbolic performances and lines. His large net worth today is a combination of these personal endeavors along with his numerous roles in reel life as an actor and voice artist. 2. He began doing stand-up when he was 15. 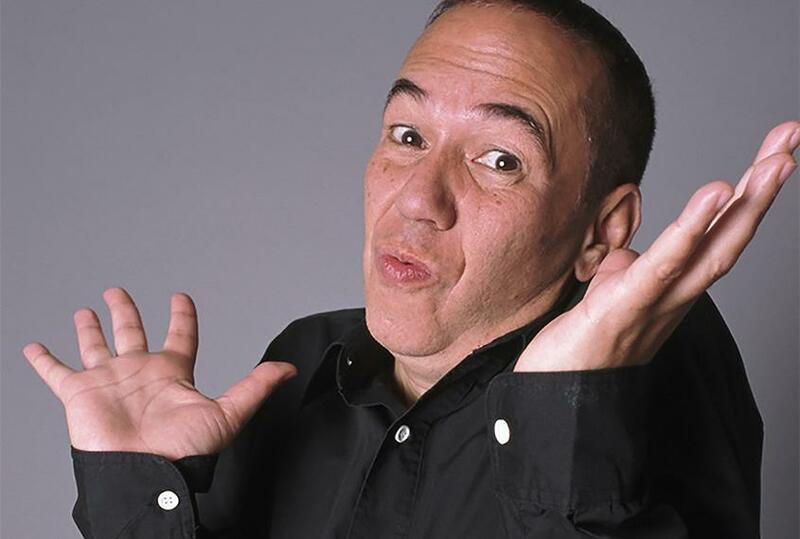 Gilbert Gottfried was born February 28, 1955 in Brooklyn, New York City, New York. As a teenager, he had got the nickname of “the comedian’s comedian’ and had been doing amateur stand-up in New York City to small crowds that gradually grew in size. By 1980, he was part of Saturday Night Live, a show through which Gottfried would get massive exposure towards building sketches and the art of acting in a professional environment. In total, he had the opportunity to appear in 12 sketches for the show before moving to other interests. 3. Gottfried hosted USA Up All Night for 10 years. There is no doubt in the charisma that Gottfried brings when given the mike. He impressed the team of USA Up All Night due to which he was the host of the show for its entire run spanning from 1989 to 1998. He has also featured in Comedy Central’s Shorties Watchin’ Shorties, Aladdin and its sequels, as well as in Kingdom Hearts. He has also been part of many reality TV shows including Food Network’s Rachael vs. Guy: Celebrity Cook-Off and ABC’s Celebrity Wife Swap. But perhaps the show he is best remembered in an reality TV show is probably NBC reality show The Celebrity Apprentice in itsn fourteenth season. 4. He has his own podcast. Even though he is a very busy man, he still has found time to devote to his own podcast that he originally started in 2014. It is titled as Gilbert Gottfried’s Amazing Colassal Podcast which today has become a big hit. This podcast primarily includes various discussions on movies and celebrities along with guest appearances from the biggest stars in television and comedy. 5. Some of his jokes on serious topic have had bad consequences. Gottfried is known for jokes that may not always be loved by all groups of people, especially those with a sensitive heart. He had made a joke about the September 11 attacks just 3 weeks after the incident had taken place. There were mixed reactions in the crowd and he quickly backed it up and directed the crowd towards an aristocratic joke. He also made a joke about the earthquake in Japan which was one of the saddest days in its history. The jokes that he made in his Twiiter account were not taken well with Gottfried having to face the consequences by being dropped from a role as a duck mascot with Daniel McKeague replacing him. He is reportedly even blacklisted for his monologue at the 43rd Primetime Emmy Awards where he made “an endless series of masturbation jokes”. This was a serious incident as the show is watched by all age groups and him later being compelled to apologize for the incident.